My first thought was that they had used a Disney image for some piece of classical music. But the Capitol logo next to the Melodia logo was unusual. 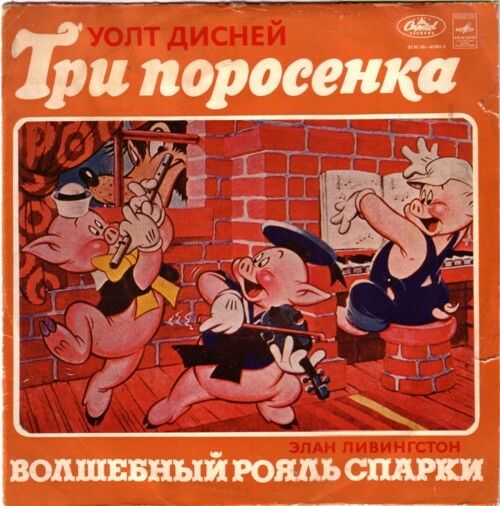 To my surprise it is an American recording of the story of the “Three little pigs” . And on the other side is the story of “Sparky and the magic piano” . I have both stories on record, but that are different versions, made for cheap labels. I guess that this are the original Disney versions? But somehow my mind tells me it are not.